Modern townhouse with private roof terrace, quiet but central location near tennis centre. Community pool & gardens. Free wifi. 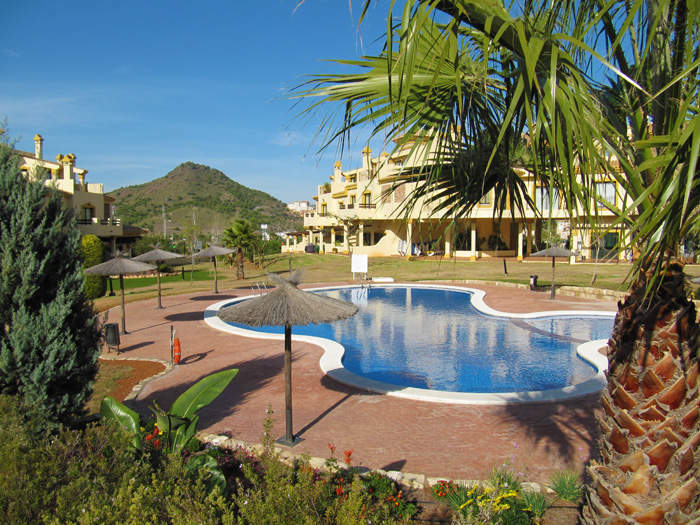 La Hacienda del Golf, in a great central yet set-back location, is a community of modern semi-detached villas, townhouses and apartments, built in a Spanish style with extensive level lawned community gardens and a large freeform pool with children’s pool section. 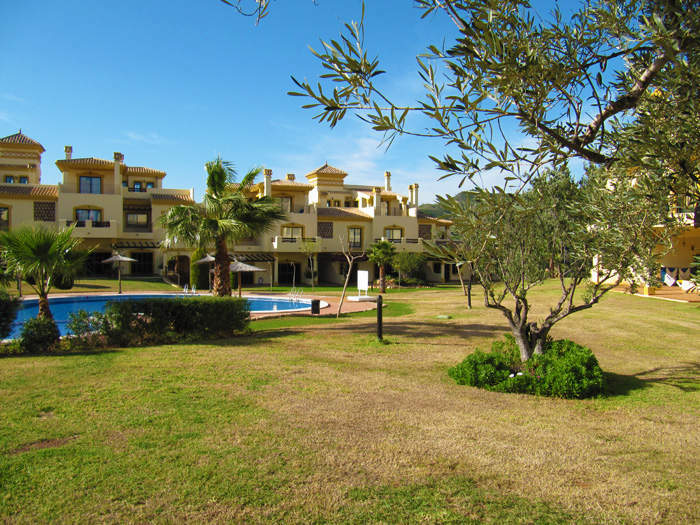 This three bedroom, three bathroom property at La Hacienda Del Golf is on ground and first floors, with the added bonus of a roof terrace. 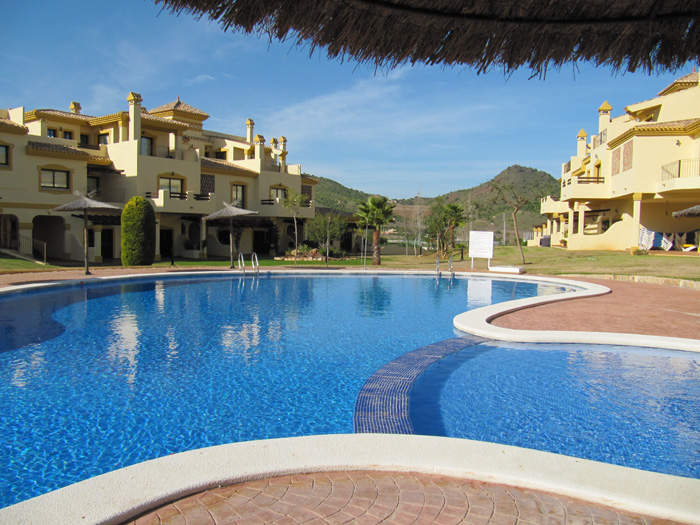 Furnished and equipped to the highest specification, with two further first floor balconies and a ground floor patio allowing direct access to the communial grounds and large pool. Large lounge diner with patio doors leading to large private sunny balcony. Satellite TV, DVD & HiFi. Kitchen with oven and hob, fridge freezer, microwave, dishwasher and washing machine. Master bedroom with patio doors leading to ground floor terrace, with separate dressing room and ensuite bathroom. Further twin bedroom and shower room on ground floor. One further twin bedroom on first floor, with balcony overlooking gardens. Further shower room on first floor. All bedrooms can be configured as king size or twin beds. Central but peaceful location, air conditioning throughout. Private terrace and barbeque facilities. Large freeform community pool and level lawned community gardens. All bedrooms can be configured as king size or twin beds. Free wireless internet access. Minimum rate 4 nights, booking of less than 4 nights can be made but will be charged at 4 night rate. Saturday to Saturday rentals preferred in July, August and other popular periods, although other stays are considered, please enquire.